Have you kissed under the mistletoe yet this year? Or if you’re a single woman, have you put a sprig of it under your pillow yet this year? Kissing under it will bring you good luck, as we know, but did you know that putting it under your pillow will allow you to dream of your Prince Charming? These legends are thought to have originated in Norway with the Vikings. 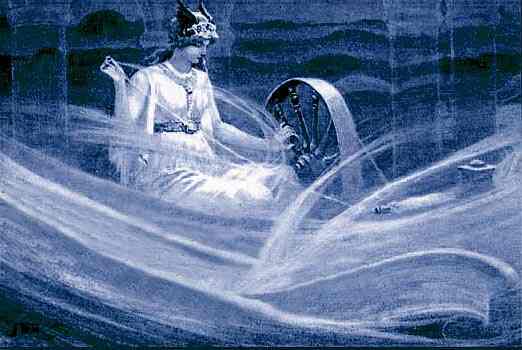 It is said that Balder, the son of Frigga, the goddess of love and beauty, was killed by a dart poisoned with mistletoe. Frigga then cried so many tears they changed mistletoe berries from red to white and raised Balder from the dead. Frigga was so grateful she kissed everyone from then on who walked under the mistletoe. Mistletoe was a mysterious plant to early civilizations because it has no roots of its own. It is a parasitic plant that sprouts from bird feces and can eventually take over and kill its host trees. Norway's history is steeped in Viking mythology and Norse legends and a beautiful, picturesque Scandinavian country to visit. I had never heard the legend behind mistletoe - love the story! Have a wonderful Christmas and enjoy your trip to Switzerland!